Bird’s feathers are beautiful things. They flow, they’re frothy and full of hypnotic detail. 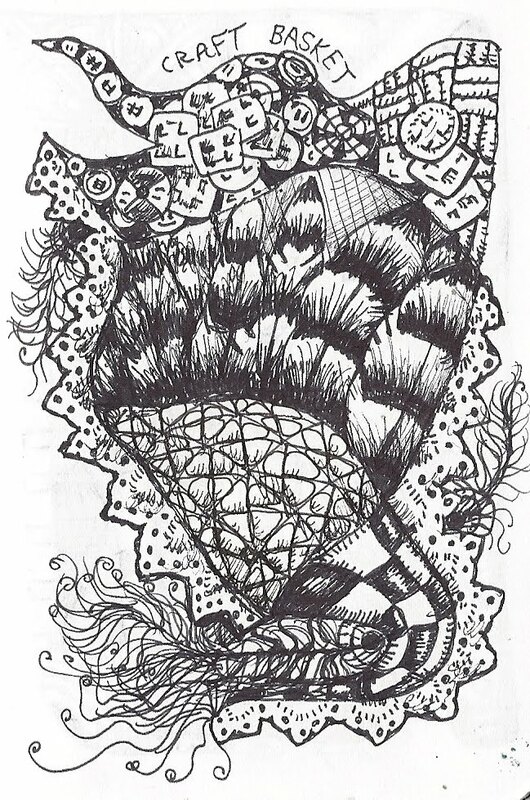 You could zentangle forever using nothing but bird feathers as inspiration. The striped pattern can be used alone, without the feather shape, but the feathers are a nice embellishment for nooks and corners, or for poking out of centers and holes. They look best in odd numbers-3 or 5 in a cluster. That's really neat. I often look at them in the yard but to actually tangle them, that's inspiration! Thank you! This was the first tangle pattern I came up with, and it's stil a favortie!